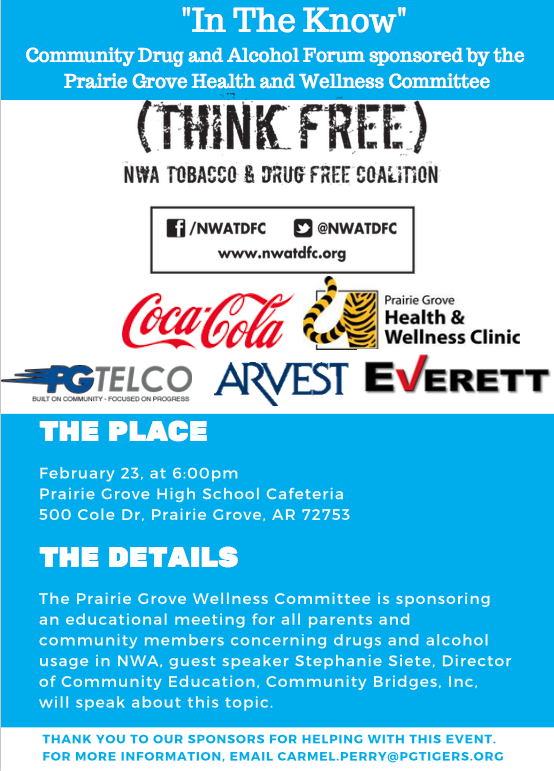 The Prairie Grove Health and Wellness Committee will be holding a Community Drug and Alcohol forum for Prairie Grove and our surrounding communities. Stephanie Siete, a fantastic speaker from Arizona who is very knowledgeable in this area, will speak to us on February 23 in the PG High School cafeteria at 6:00pm. We will also have our local police department on hand to educate us on what Washington County is experiencing. Parents and community members are welcome.